This time it’s short post. 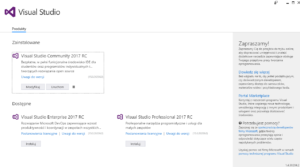 I’d like to share with you one thing about the newest Visual Studio 2017. I decided to write about it, because it took me a while to figure it out. Maybe it’s obvious, but you can save time when you read this and you will encounter this problem. 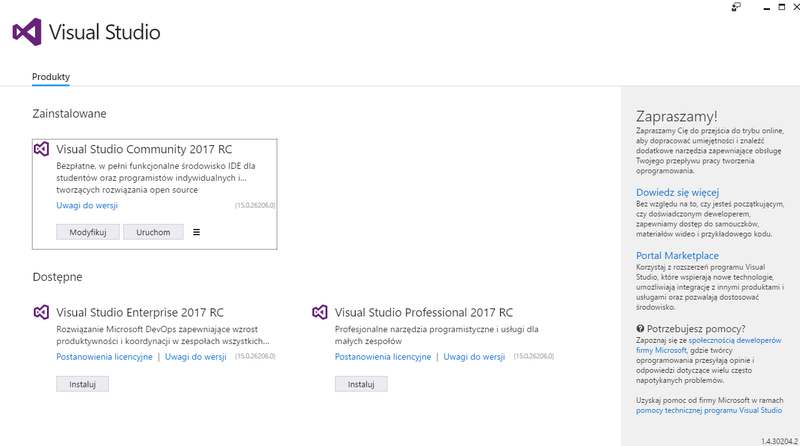 When you install VS 2017 it decides for you what language to use by default and it’s your operation system’s language. I have Windows in Polish, so my VS was in Polish too. 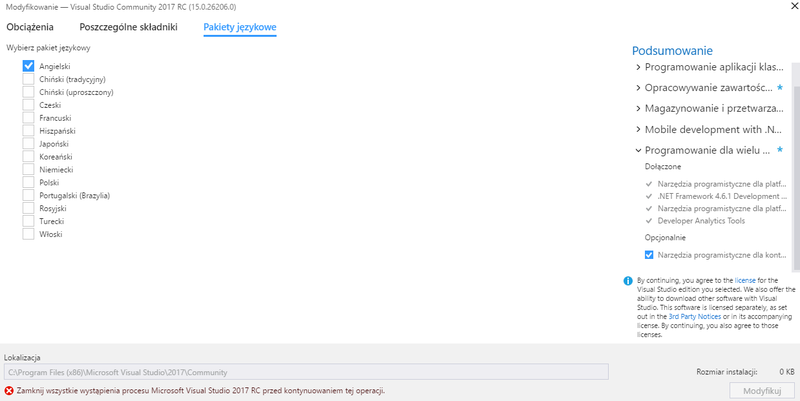 I noticed that some attendands DSP 2017 contest use Polish version, but it looks very weird in my opinion. I didn’t want it, so I had a small problem. How to change language? Working solution for it is to open VS installer and go to Modify or „Modyfikuj” in my case. 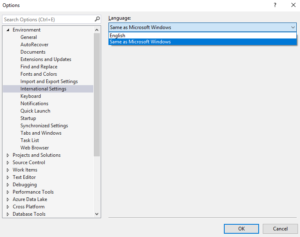 If you haven’t got it as I before, you need to update your version of VS and try again and then click on Language packages or „Pakiety językowe” when you use Polish version of Windows. 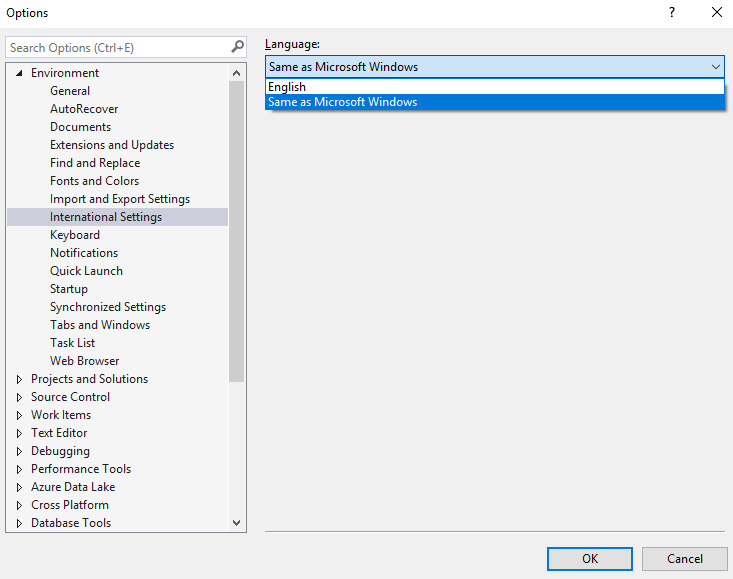 Then you can choose languages you like to install. 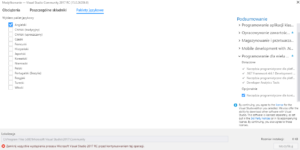 Posted in Daj się poznać 2017, Get Noticed 2017, Programming on Marzec 10, 2017 by Jakub Skoczeń.